While Mitt Romney and Newt Gingrich were busy giving rabble-rousing speeches about how the appeaser-in-chief has been touring the globe apologizing for America and hollowing out our military influence, guess what happened? Europe slapped a boycott on Iranian oil Monday, signaling that the Islamic Republic’s second-largest market is likely to dry up as part of a U.S.-led sanctions campaign that has already inflicted serious damage on Iran’s economy and sharply increased tensions. 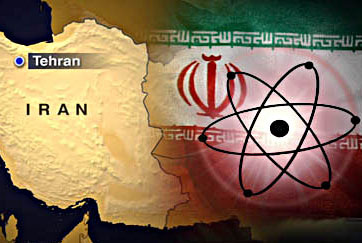 ….In the past, Europe often has resisted U.S. efforts to build pressure on Iran. “If you had told me a year or two ago that the Europeans would do something like this, I would have said you were crazy,” said Mark Dubowitz, executive director of the Foundation for Defense of Democracies, a research group in Washington that favors strong sanctions. ….The effect will be amplified by a new round of U.S. sanctions, which, if fully implemented, will prevent companies that do business with Iran’s central bank from dealing with American companies….China says publicly that it will not yield to pressure to give up Iranian oil, but it has reportedly cut back on purchases for January and February and is pushing for discounts. How about that? Europe is now fully on our side, Russia and China are officially neutral but not actively undermining us, and Iran is starting to feel serious pressure. Somebody’s foreign policy seems to be having an actual effect. It can’t be President Obama, though. Too weak. Here’s what’s really happening: the EU is desperately getting on the sanctions bandwagon because they’re afraid that President Gingrich will bring down the hammer after he wins a landslide 535 electoral votes in November (the big-government leeches in DC stubbornly hold out against the tide, of course). The fear of Newt is forcing them to get serious for the first time ever. Think I’m joking? Ten bucks says some actual conservative columnist makes this argument. For all I know, someone already has.